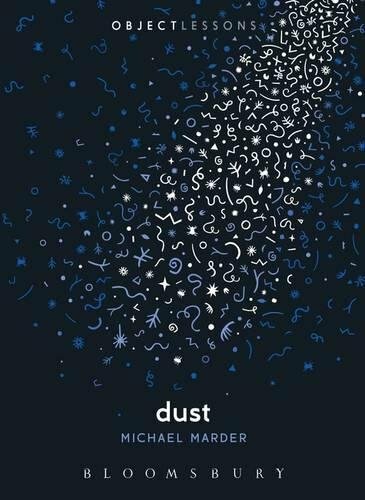 Obtenez le livre Dust (Object Lessons) par Michael Marder au format PDF ou EPUB. Vous pouvez lire des livres en ligne ou les enregistrer sur vos appareils. Tous les livres sont disponibles au téléchargement sans avoir à dépenser de l'argent. Object Lessons is a series of short, beautifully designed books about the hidden lives of ordinary things. No matter how much you fight against it, dust pervades everything. It gathers in even layers, adapting to the contours of things and marking the passage of time. In itself, it is also a gathering place, a random community of what has been and what is yet to be, a catalog of traces and a set of promises: dead skin cells and plant pollen, hair and paper fibers, not to mention dust mites who make it their home. And so, dust blurs the boundaries between the living and the dead, plant and animal matter, the inside and the outside, you and the world (for dust thou art, and unto dust shalt thou return). This book treats one of the most mundane and familiar phenomena, showing how it can provide a key to thinking about existence, community, and justice today. Object Lessons is published in partnership with an essay series in The Atlantic. This gem of a book takes us to the dusty surface of our lives with finesse and fine wit. It shows the unsuspected depths of something quite literally superficial, something, which is, nonetheless, an integral part of all humans do and say, accompanying us at every turn until we become dust ourselves. --Edward S. Casey, Distinguished Professor of Philosophy, State University of New York at Stony Brook, USA, and author of The World at a Glance and The World on Edge. Michael Marder is Ikerbasque Research Professor in the Department of Philosophy at the University of the Basque Country, Vitoria-Gasteiz. He is the Associate Editor of Telos: A Quarterly Journal of Critical Thought and the author of The Event of The Thing: Derrida's Post-Deconstructive Realism (2009), Groundless Existence: The Political Ontology of Carl Schmitt (2010), Plant-Thinking: A Philosophy of Vegetal Life (2013), The Philosophers Plant: An Intellectual Herbarium (2014), PhenomenaCritiqueLogos: The Project of Critical Phenomenology (2014), and Pyropolitics: When the World Is Ablaze (2015).